This title includes a delightful collection of 20 pieced and applique projects that use texture to add depth and interest. 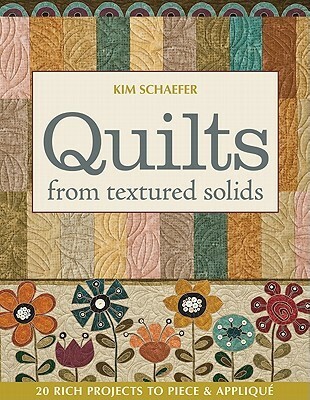 Give your quilts a wonderful tactile touch with 20 new projects that feature rich, textured solids to create timeless designs. Use machine applique and traditional piecing techniques to stitch-up lap quilts, wall quilts, and table runners in Kims popular style and colour palette. And with simple shapes and easy construction, youll soon have a stunning collection of sophisticated quilts for any room in the house.